New Construction - Beautiful custom 3 bedroom, 2 bath home built by Hugo Homes. Quality finishes throughout with attention to detail. 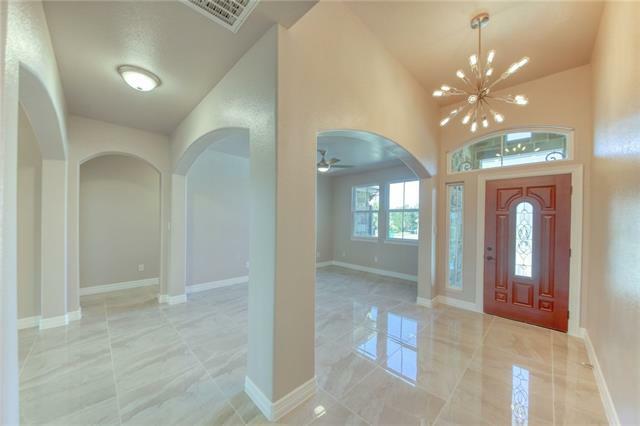 Arched doorways, soft-close cabinet drawers, elegant master suite with large walk in closet, stone fireplace in family room, open flexible floor plan perfect for entertaining, beautiful light fixtures and ceiling fans. Cat5 cabling in house & garage! Lago Vista ISD. Area amenities include golf course, community pool, 9 parks, Lake Travis access and so much more! Disclaimer: All information deemed reliable but not guaranteed and should be independently verified. All properties are subject to prior sale, change or withdrawal. Neither listing broker(s) nor Keller Williams Realty shall be responsible for any typographical errors, misinformation, misprints and shall be held totally harmless. Database last updated 04/19/20195:24:38 AM.